I don't know whether the royal fleet provide their own insurance cover but if not then Philip is quite right according to normal insurance practice, not to admit liability to the other party even if he was largely to blame for the collision. That said, I guess he could have jotted a note asking after the health of the occupants of the other vehicle but did they ask after Philip's health in writing? 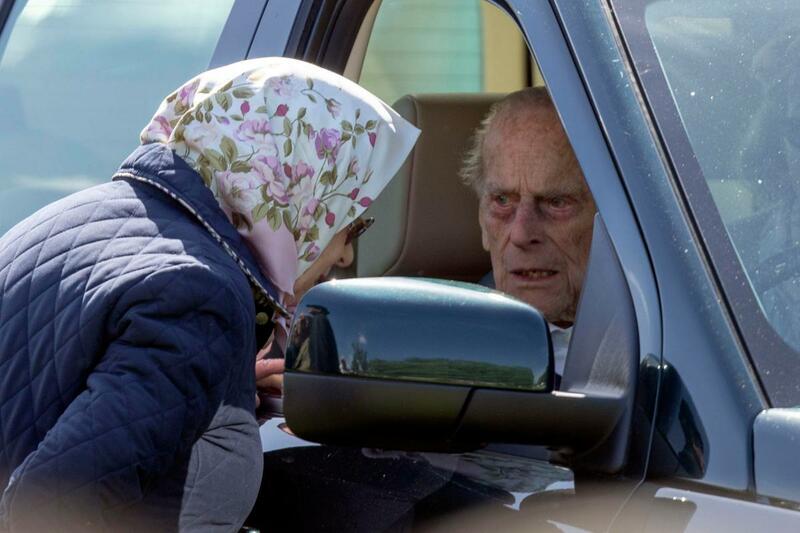 We are of course all assuming that Prince Philip is to blame for the accident. He probably is...but we don't know for sure and the Police are still investigating. What if the other car swerved to miss something or the driver was texting at the wheel? 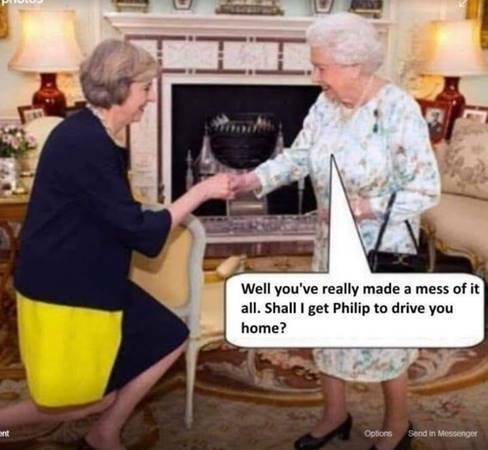 I know it looks like old Philip is responsible but we may not be in possession of all the facts. And today the same elderly gentleman has had "words of advice" from the police for driving without a seat belt! One law for them and one for us! But then, how many on here have been deliberately 'hounded' by mobile phone-clutching seekers of sensation, when we've 'forgotten' to bother with our seat belts? There again, Phil-the-Greek might just as easily have a medical dispensation to not wear a belt? I had a medical dispensation a few years ago, for a short period, after having sustained severe bruising to my chest as a result of the iniquities of modern seatbelt design...and a 'student' who over-reacted and braked violently. LAp & Diagonal belts often not only restrain, but create a violent twisting effect. I am so heartened to read quite a few on here actually see the reality of the whole situation. Instead of clinging to the sensationalist claptrap so commonly proffered by the headline grabbing public-at-large. It is not true to say that Prince Philip is untouchable. He is not above the law and could still be prosecuted in a Magistrates Court if the CPS decide to bring charges. He wouldn't necessarily have to appear in person. All the Royals below the Queen are subject to the same laws as the rest of us. The Monarch is the only person in this Country who cannot be prosecuted. This is because the law is commissioned in the name of the Queen. Thoughts of "The Crown v. the Queen." Aaaah! The age of the tin tee-shirt? Years ago the then p.m. of Australia , Bob Hawke , got booked for not wearing a seat belt . He was on the back seat , being driven . He paid the fine but it was pea nuts to him .